George Soros has done more for open societies than any other private citizen in the world. In Underwriting Democracy he describes his experiences helping to bring about democratic change in Eastern Europe—experiences that are especially relevant now that our country has begun to intervene (though in an entirely different way than Soros) to create functioning democracies. 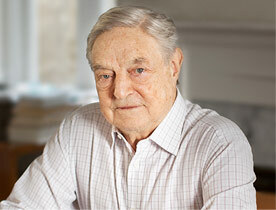 Throughout the 1980’s George Soros worked to identify and fund the growing political movements that caused the downfall of Eastern Europe’s Communist governments. He established foundations, first in his native Hungary, and then in eight other countries, and used them to finance everything from the installation of previously forbidden copying machines in public libraries to the creation of experimental schools, clubs, and workshops for the support of dissidents. This unprecedented, and brilliant, financial and logistical support helped to bring down the communist regimes in peaceful revolutions across the continent. These are thrilling stories about facing down—and getting past—the Communist party powers in order to change these nations from the inside out.